You knew it was coming… Only 6 months after the Ayreon Universe took to the stage, Mascot Label Group / Music Theories Recordings will release the entire show on a variety of formats. 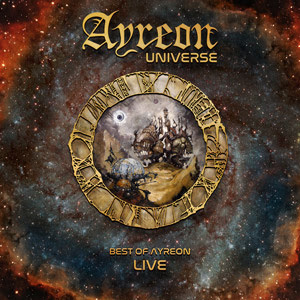 Ayreon Universe is the best of Ayreon Live – A unique performance featuring 16 singers, 28 songs, 2+ hour performance, 9000+ fans and a special appearance by Arjen Lucassen. All of this captured by 30 cameras!